Hey guys! So yesterday I saw on twitter that Mary needed help in Wu because there was a lot of stuff going on. I quickly logged on and ported to her to see Ed, Aaron , Isaac, Angel Winterbreeze and many other twizards there. Ed and I stayed the longest. There were many many people I had to ignore and even report. It was not fun seeing all the foul language being used. Even though I had text chat and not open chat I could still make out what they were saying. I had some people say some nasty things to me... After about an hour we got it to quiet down and be more "appropriate". It kinda started up again but only for a few minutes. Secondly, let me ask you a question. 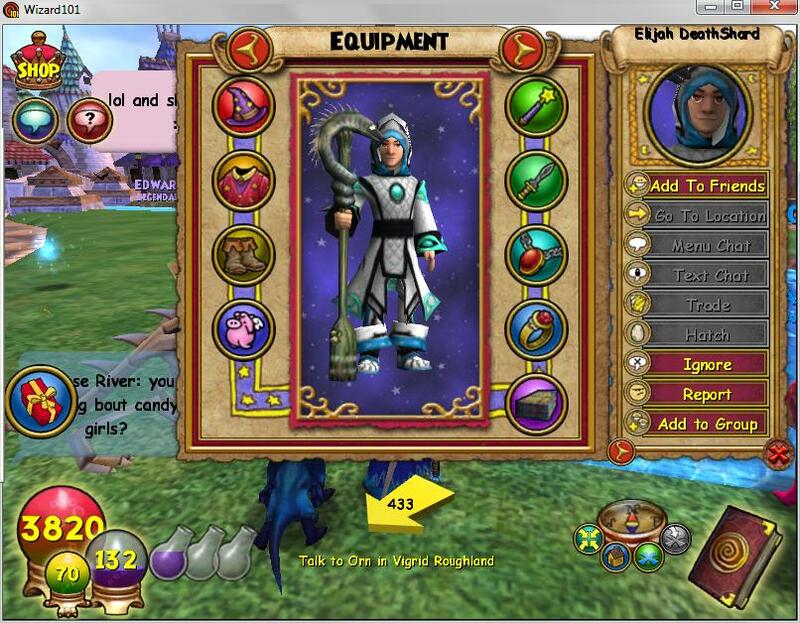 Do you view Wizard101 Central? Well if you do (or don't) you probably have heard of Deathshard (Elijah Deathshard). 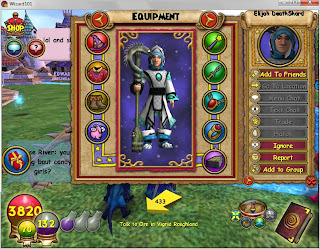 He is the #1 posted for Wizard101 Central! All those amazing guides you see etc. have a connection to Deathshard one way or another :P Anyways I had the amazing opportunity to meet him while I was in Wu with everyone. At first I was like hmmm... Deathshard seems familiar. 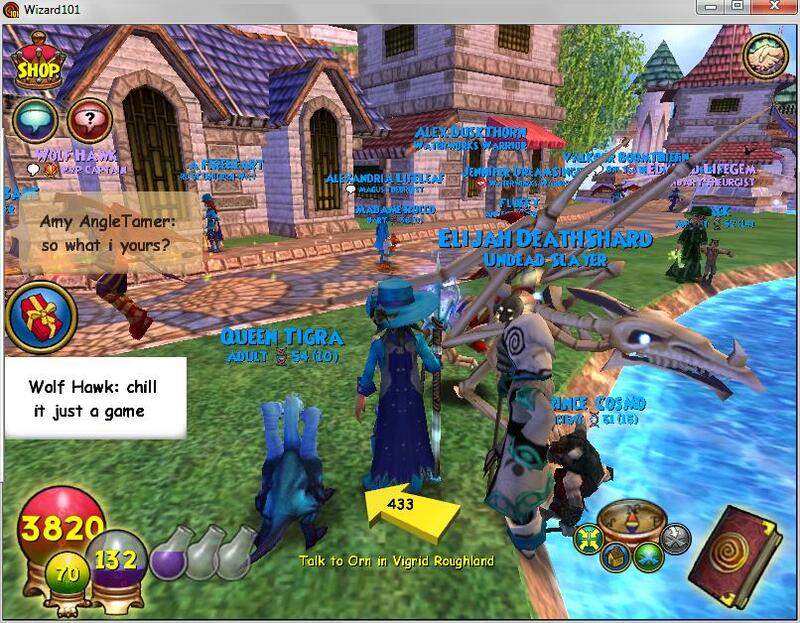 I then asked Ed who Deathshard was and Ed said he was from twitter (twizards) and Wizard101 Central. I quickly went on to twitter and I remembered he was my good friend and follower Deathshard :) I then was like ohhh. You can follow him at @Deathshard. Then someone was acting like Deathshard was god and was like "The #1 poster of Central is here!!! Introducing Deathshard!!!" Then he was like "Back away from Deathshard or I will put the police on you!" Like I admire everyone liking Deathshard and I know he is well known but acting like he is god. Seriously? It is a little to far there.